Researchers at Johns Hopkins Kimmel Cancer Center have developed a multianalyte blood-based test called CancerSEEK that identifies eight circulating protein biomarkers and a panel of mutations in 16 cancer genes that could eventually be used as an early screening tool for cancer. “This test represents the next step in changing the focus of cancer research from late-stage disease to early disease, which I believe will be critical to reducing cancer deaths in the long term,” said co-researcher Bert Vogelstein, M.D., co-director of the Ludwig Center for Cancer Genetics and Therapeutics, Johns Hopkins University School of Medicine, Clayton Professor of Oncology, and Howard Hughes Medical Institute investigator. The eight cancers covered by CancerSEEK—ovarian, liver, stomach, pancreas, esophagus, colorectal, lung, and breast—together accounted for an estimated 360,000, or 60% of the cancer deaths in the U.S. in 2017. The only widely used blood test for early cancer detection involves measuring prostate-specific antigen (PSA), the authors note. Other approved tests for detecting cancer, including colonoscopy, mammography, and cervical cytology, are not blood-based. When tested on blood samples from just over 1000 cancer patients, the assay demonstrated a specificity of 99% and a sensitivity of 69% to 98% for the five types of cancer for which there is currently no screening test. Reporting on the work in Science, the researchers estimate that the CancerSEEK test could cost less than $500, which is “comparably lower” than other screening tests, such as colonoscopy, for single cancers. CancerSEEK has been developed to address key requirements for a blood test for cancer, including high specificity to avoid putting patients through unnecessary follow-up procedures as a result of false positives and high enough sensitivity to identify the very low levels of genetic mutations in early-stage cancer patients. Another issue with liquid biopsies is the ability to identify the underlying tissue of origin. To develop CancerSEEK, the researchers initially looked at several hundred genes and 40 protein markers, but then narrowed down their panel to 16 genes and eight proteins. “…we searched for the minimum number of short amplicons that would allow us to detect at least one driver gene mutation in each of the eight tumor types evaluated,” the researchers wrote. CancerSEEK demonstrated a median sensitivity of 70% when tested on 1005 patients diagnosed with one of the eight cancers. Patients all had Stage I–III nonmetastatic disease. Test sensitivity ranged from 98% for ovarian cancer to 33% for breast cancer. A trial of CancerSEEK on 812 healthy controls produced just seven false-positive results, although the authors point out that it’s also possible that one or more of the control individuals may have harbored a cancer that hadn’t yet been diagnosed. One of the most important attributes of a screening test is the ability to detect cancers at relatively early stages, the author point out. The CancerSEEK test demonstrated a median sensitivity of 73% for the most common stage evaluated (Stage II), 78% for Stage III cancers, and lower 43% for Stage I cancers. The sensitivity for the earliest stage cancers (Stage I) was highest for liver cancer (100%) and lowest for esophageal cancer (20%). The researchers also wanted to be able to use the test results to predict the site of a tumor. 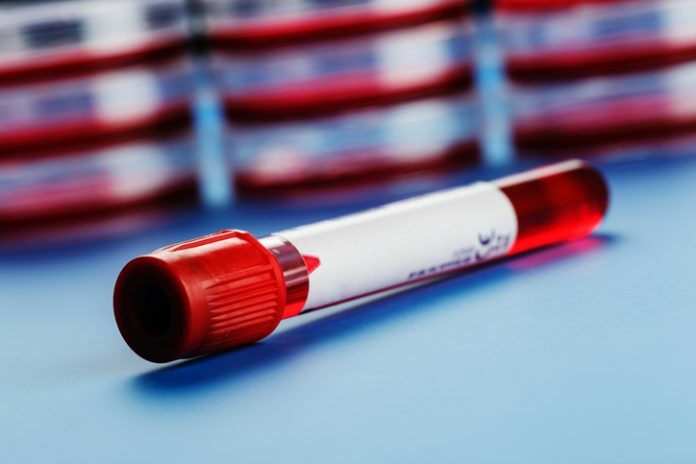 “One limitation of liquid biopsies is their inability to determine the cancer type in patients who test positive, which poses challenges for clinical follow-up,” they note. The team developed a supervised machine learning approach to predict the underlying cancer type in patients with positive test results. “A novelty of our classification method is that it combines the probability of observing various DNA mutations together with the levels of several proteins in order to make the final call,” explains Christian Tomasetti, Ph.D., associate professor of oncology and biostatistics, who developed the algorithm. The algorithm took into account the circulating tumor DNA (ctDNA) and protein biomarker levels as well as the patient’s gender. When applied to the cancer patients who scored positive with a CancerSEEK test, and without any clinical information, the algorithm correctly localized the source of the cancer to two anatomic sites in 83% of patients, and was accurate down to a single organ in a median of 63% of patients. “The accuracy of prediction varied with tumor type; it was highest for colorectal cancers and lowest for lung cancers,” the authors write. “Many of the most promising cancer treatments we have today only benefit a small minority of cancer patients, and we consider them major breakthroughs. If we are going to make progress in early cancer detection, we have to begin looking at it in a more realistic way, recognizing that no test will detect all cancers,” added Vogelstein.